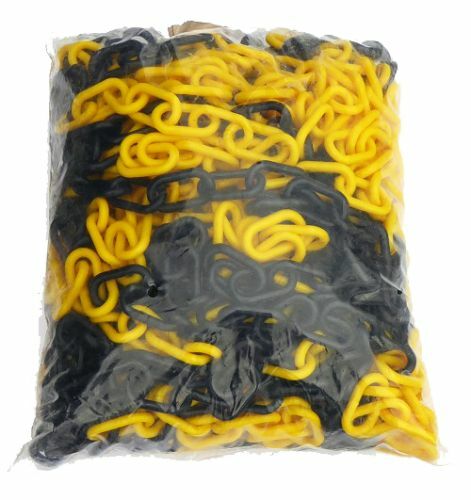 6mm Yellow/Black Plastic Polyethylene Chain at Low Prices! 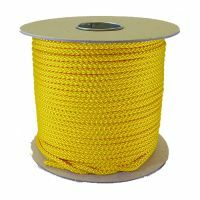 6mm yellow/black plastic polyethylene chain supplied in a 25m bag. Yellow and black alternate in 0.5m sections. Ideal for decorative purposes and as a barrier chain. Also available in White, Black & Brown. Sometimes called nylon chain although ours is made from polyethylene.